Wodehouse (1881-1975) is hands down one of the best writers in the English language. Ever. Uncontrollable laughter is my personal experience. That's alright in private but less so among strangers in public transit. She looked at me in rather a rummy way. It was a nasty look. It made me feel as if I were something the dog had brought in and intended to bury later on, when he had time. I ordered another. If this was going to be fish-story, I needed stimulants. Honoria, you see, is one of those robust, dynamic girls with the muscles of a welter-weight and a laugh like a squadron of cavalry charging over a tin bridge. There was a death-where-is-thy-sting-fulness about her manner which I found distasteful. For the first time since the bushes began to pour forth Glossops, Bertram Wooster could be said to have breathed freely. I don’t say that I actually came out from behind the bench, but I did let go of it, and with something of the relief which those three chaps in the Old Testament must have experienced after sliding out of the burning fiery furnace, I even groped tentatively for my cigarette case. 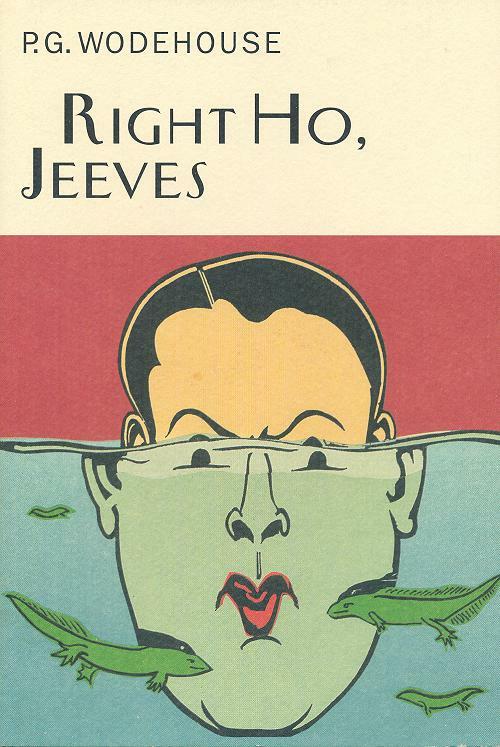 Early Wodehouse has come into the public domain, including some very early Jeeves and Wooster, and are downloadable at ManyBooks, free, for Kindle, etc. DeYoung recommends Right Ho, Jeeves as a good place to start reading Wodehouse and the link in this sentence leads to the free e-book of that title.